Shim Jae-chul, 57, had to find a new way to make a living when he lost his job three years ago. To restart his career, Shim chose to take online courses to obtain an electrician’s certificate. According to the recent survey conducted by Mirae Asset Global Investments, workers in South Korea retire from work at the average age of 54. Most retirees seek to start a second career. Shim was once the head of his department at a leading conglomerate in Korea. When he was 55 years old, he came under pressure to quit, but he was not financially prepared to stop working. He decided to take online courses from a lifelong education institute. Getting a new job or better position is a problem that goes beyond the older generations. Younger people in their 20s or 30s also face the same problem. They are now paying attention to lifelong education, often in the form of online programs. 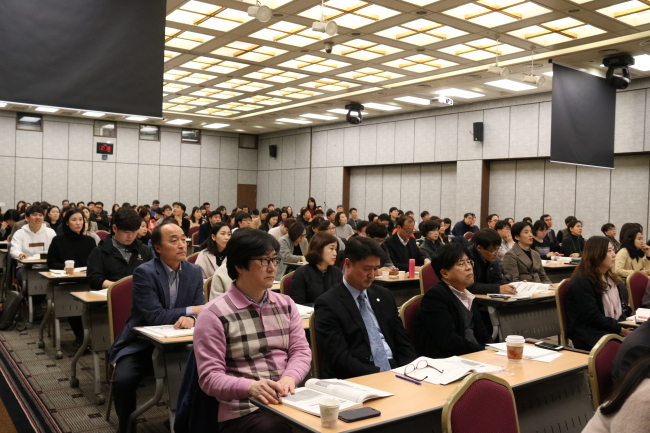 K-MOOC, which stands for Korean Massive Open Online Course, has been available since October 2015, with support from the Ministry of Education and National Institute for Lifelong Education. Over 140 web-based courses from local universities such as Seoul National University and KAIST provide free learning to students, regardless of age or nationality. “As of February 2017, more than 125,000 users have learned via K-MOOC,” Suh Heon-joo, executive director of K-MOOC said. “Our system helps students to engage in interactive learning such as discussions, quizzes and offline activities. Suh said the age of the students ranges from 20 through 50, and more teenagers are opting to take K-MOOC courses. The Cyber University of Korea said that 12,000 students are enrolled as of March. The university said electrical and electronic engineering is one of the most popular courses. Female students who had quit their jobs to take care of their children are favoring counseling and health-related courses to prepare for a job search. Not all MOOC students are concerned about getting a job. Suh Young-wan, director at Lifelong Education of Konyang Cyber University, said students in their 50s and older are showing great passion for lifelong learning.